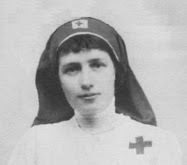 On August 2, 1916, Mildred Marie Neuzil was born of Austrian parents, John and Anna (Smerda) Neuzil. 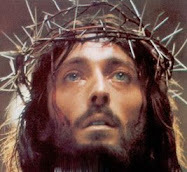 Born in Brooklyn, NY, baptized at Most Holy Trinity, and shortly after moved to Cleveland Ohio. In Austria, her father had been a gardener to Johann Strauss (a renowned Austrian composer), and in America he was a homebuilder. 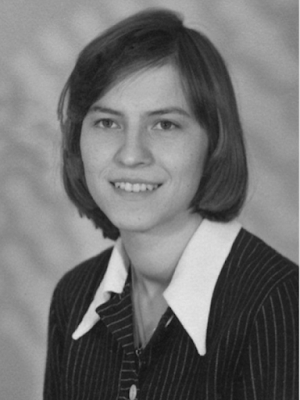 At the age of 14, Mildred Neuzil entered the active religious congregation of the Sisters of the Precious Blood, a papal community, in Dayton Ohio. Three years later Mildred made her first vows as a professed religious. She received the name Sister Mary Ephrem, a name that means “doubly fruitful”. 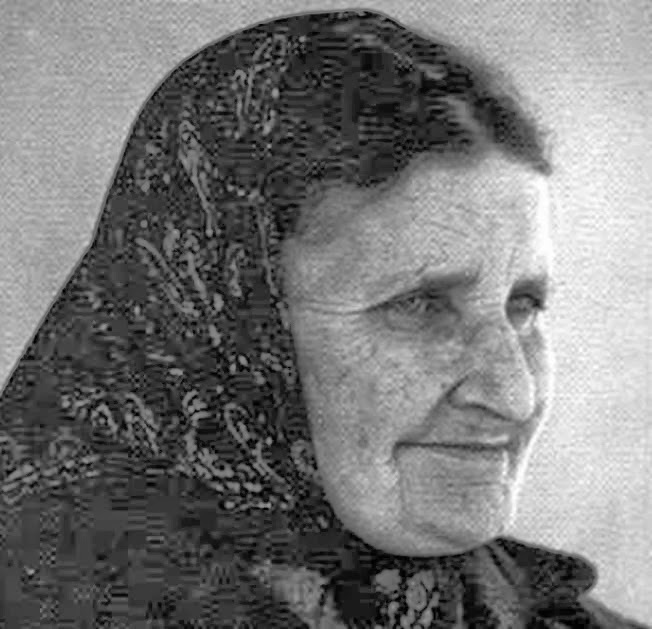 She carried out her duties mostly in domestic work and as a kindergarten teacher. 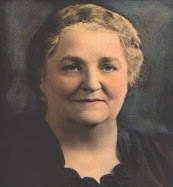 Her first mission of activity included multiple diocesan jurisdictions in Washington, DC, where she remained until 1937, when she was sent to the Chancery in Cincinnati, Ohio. It was here that God gives her a holy man, priest and later Archbishop to guide her. By 1940, Our Lord revealed to Sr. Mary Ephrem that her mission was to converge on the sanctification of the family. Sister began to share these experiences with her confessor Rev. 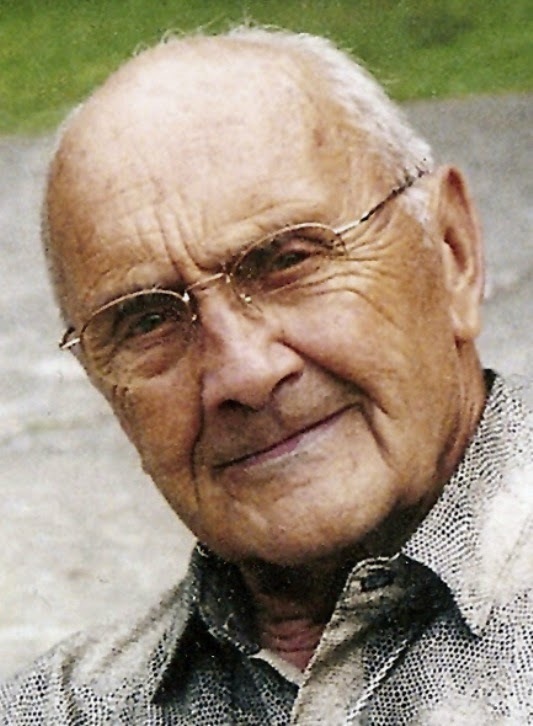 Paul Leibold. 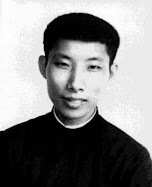 He would remain her spiritual director for 32 years, from 1940-1972, when he died. “My little white dove tell your spiritual father- him whom I have placed over you- to guide and direct you. Tell him that My Heart is pleased with his efforts to make Me loved. I will bless him and make his work fruitful in behalf of all the souls entrusted to his care and priestly ministrations. Tell him if he would please Me more to double his efforts in making known the love of My Heart for poor sinners...As a priest after My own Heart I will be with him in all his trials and sorrows. Tell him not to become discouraged at the crosses awaiting him, for I the great High-Priest go before him carrying the heaviest part of his cross...I seek always the humble and lowly of heart." 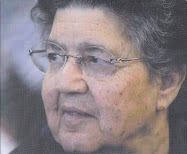 For Sister Mary Ephrem her humility and simplicity would draw her ever closer to her suffering Savior. Our Lord would call her to cooperate in the salvation of souls by allowing her to share in His Passion. During a night vigil on the Feast of the Sacred Heart 1956 He reveals the sorrow of His Heart over the ingratitude and indifference shown to Him in the Sacrament of His love. Of course I accepted,who could refuse Jesus anything?" As Sister Mary's spiritual life progressed the messages became more pressing. She began to write them down more diligently. Sharing them with other priests and religious who found nothing adverse to faith or morals in their content. 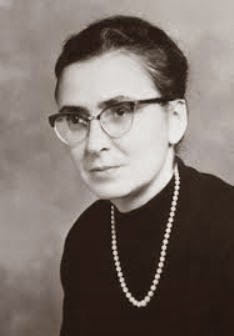 In fact they concluded the great emphasis on the Indwelling of the Blessed Trinity showed a theological understanding beyond what this sister had been able to obtain in her regular religious studies. 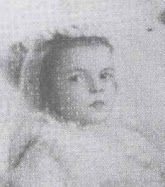 Her confessor, Father Paul Leibold, also progressed in his priesthood. From 1948-1949 he studied Canon Law at the Angelicum University in Rome, there he received Doctor of Canon Law Degree. In 1948 he became Chancellor Archdiocese of Cincinnati and Papal Chamberlain by Holy Father, 1950 Diocesan Consultor and Domestic Prelate by Holy Father, 1951 appointed Archdiocesan Administrative Council 1958 he was promoted to Auxiliary Bishop of Cincinnati, Ohio, and in 1966 he became the Bishop of Evansville,Indiana. On October 2, 1969 he was made Archbishop of Cincinnati. One night she awoke with the sense that something was perched on her pillow a little behind her head. Before she could discern just what it was, she felt it grab her face across the eyes and pull down on them. She found no marks on her face afterward though. The next day she went to her superior and asked to be transferred back to Ligonier, Indiana. She could have gone if she had found someone to wait on tables in her stead, but she was unable to. 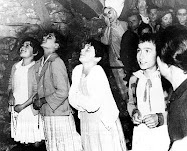 It is believed that greater miracles than those granted at Lourdes and Fatima could be granted here in America--The United States in particular--if we do as She desires. St. Joseph revealed to Sister Mary Ephrem that his heart suffered with the Hearts of Jesus and Mary, for he knew beforehand of their passion yet would not be there to console them. He became in union with his holy spouse co-redemptor of the human race. 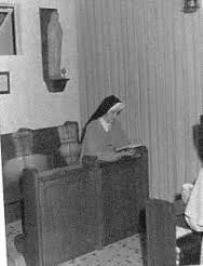 Sister writes that on October 13, 1956 the Holy Virgin appeared to her as she was working in her room. Our Lady was very beautiful and was smiling at her in her heavenly way. She held with both hands a small replica of a finished Shrine of the Immaculate Conception. Our Lady asks Sr. Mary Ephrem for prayer and penance, to love and trust Her, and not to forget our poor Mother who weeps over the loss of so many of Her children. Sr. Mary Ephrem longs to be hidden from the world and suffers for the Divine Mandate given to our country. 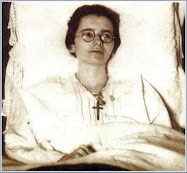 It was the will of God that Sister Mary Ephrem suffer for the loss of purity in the souls of men. "O' my sweet child, when will My desires be realized?...O' my little one, daughter of my Pure Heart, you must pray with greater fervor, and offer yourself with greater love to the Heart of my Son." 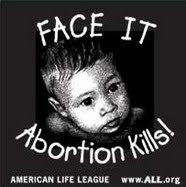 "My sweet child, unless my children reform their lives, they will suffer great persecution. If man himself will not take upon himself the penance necessary to atone for his sins and those of others, God in his justice will have to send upon him punishment necessary to atone for his transgressions." "Do not delay or the time of grace will pass and with it the peace you seek. … My little sister, the message is a dear one, there is no doubt. Make it known; do not hesitate. I, Michael, have made this request." At the urging of Archbishop Karl J. Alter, the Precious Blood Sisters’ Chapter of 1954 voted to establish a cloister within its active community, an effort Sister Mary Florecita Bidart had worked toward for 20 years. In December of 1954, Bishop George J. Rehring gave permission for the cloister to be established in the Our Lady of Nativity Convent in New Riegel, Ohio, the Toledo diocese. The cloister gate was closed in the ceremony presided over by Bishop Rehring on July 1, 1957, the feast of the Most Precious Blood, establishing it as a truly Benedictine papal enclosure. At that time the cloister consisted of Sr. Mary Florecita Bidart, Foundress, and Sister Mary Leo (Louise) Voisard. The cloister was completely self supporting, mainly with its printing press. 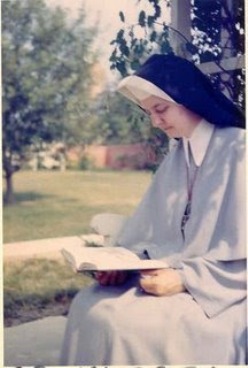 By April 1, 1965, the sisters had obtained canonical approval for their Constitution and by September of that year, the Holy See granted permission to erect a Novitiate within the Cloister, allowing women to enter from outside the active congregation in order to increase their membership. Sr Mary writes: "Our Lady spoke on the great gift of the Divine Indwelling, sanctification from within. This is what she means by reformation and renewal. As Our Lady spoke this, she seemed at the time to be deeply occupied. Though the serenity of her countenance never left her, she spoke with a gravity that made her words all the more solemn. She seemed anxious to impress me with some idea of the greatness of this gift of God to us, namely, His Divine Presence within our souls through sanctifying grace." "My dear daughter and sweet child, write my words carefully, because they are of the utmost importance. I address them to my beloved sons, the priests, dedicated to the most intense and extraordinary imitation of my Son in the perfect carrying on of His Eternal Priesthood. Beloved sons, so cherished and greatly blessed among the sons of men, be careful to uphold the sanctity and dignity of your calling. Let the faithful see in you the favored and especially loved imitators of the Son of God. Be modest in your dress and speech as becomes those of so exalted a vocation. The apparel and manners of a man of the world is not for you, who, though living in the world, must not take on its ways. Dear sons, I ask you to practice self-denial and penance in a special manner, because it is you who must lead my children in the way of peace. Yet this peace will come only by way of the sword, the flaming sword of love. If, therefore, you love my Son and wish to honor Me, heed My admonition and be the first to give the example of a life of penance and self-denial." "My Immaculate Heart will win in the end, and the Spirit of Christ will dwell in the hearts of men. Those in whom this Spirit is not found will be condemned to eternal hell-fire." “America, with the United States in particular, is being given the tremendous, yet privileged, opportunity to lead all nations in a spiritual renewal never before so necessary, so important, so vital." "Fathers must come to me to learn obedience to authority: to the Church always, as the mouthpiece of God, and to the laws of the country in which they live, insofar as these do not go against God and their neighbors. Mine was perfect obedience to the Divine Will, as it was shown and made known to me by the Jewish law and religion. To be careless in this is most displeasing to God and will be severely punished in the next world. Fatherhood is from God, and it must take once again its rightful place among men. My special protection of the Holy Father and the Church should be made known to him. God wishes to make this known to him that he may receive thereby renewed consolation and encouragement. During the war, little daughter, it was I who saved him [Pope Pius XII] from death at the hands of his enemies." "Jesus and Mary desire that my pure heart, so long hidden and unknown, be now honored in a special way. Let my children honor my most pure heart in a special manner on the First Wednesday of the month by reciting the Joyful Mysteries of the rosary in memory of my life with Jesus and Mary and the love I bore them, the sorrow I suffered with them. Let them receive Holy Communion in union with the love with which I received the Savior for the first time, and each time I held Him in my arms. Those who honor me in this way will be consoled by my presence at their death, and I myself will conduct them safely into the presence of Jesus and Mary." 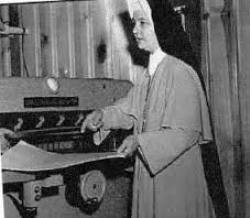 May 1958: Sister Mary Ephrem enters Our Lady of Nativity Cloister to live a hidden life. These words consoled me very much, and I went to prayer with a peaceful heart." Nine months before the National Shrine was finished, Our Lady admonished Sister “...to work on writing the message as soon as possible, so that it might be placed in the hands of the Bishops who will be responsible for its fulfillment." September, 1959: Pope John XXIII’s letter, given from Rome to the American Faithful on the dedication of the National Shrine: “It was an extremely gratifying and enduring joy that filled our hearts on receipt of news…that a shrine is to be dedicated to the Immaculate Virgin Mother of God. There now rises up to heaven a shrine, high and massive, wondrously bright within…The Virgin Mother of God is our Mother, our Queen, the sure way by which we approach most speedily to Jesus Christ, Who was given to us by her. But a temple built of stones is of little significance unless there arises a temple mystically erected within our minds. Therefore…let an altar of the Most Blessed Virgin be set up in the heart of each one of the faithful; let families, held together by the sanctity of marriage, by mutual love, by moral integrity and a common spiritual life, reproduce her virtues and be fortified by her protection." “O my child, tell your spiritual father [Bishop Leibold] that I come again to warn and to plead. See, I weep, but My children show Me little compassion. They behold the sword in My heart, but they make little effort to withdraw it. I give them love; they give me only ingratitude. Weep, then, dear child, weep with your Mother over the sins of men. Intercede with Me before the throne of mercy, for sin is overwhelming the world and punishment is not far away. “Tell His Grace, my beloved son, that it is through the medal that he will receive the sign for which he asks. I ask him to have the medal struck and distributed everywhere and he will receive not only the one sign for which he has asked but so many, so many that he will have cause to be greatly astonished. My child, God works often through little and humble things and such instruments should never be despised but accepted and used with love and gratitude. It will be through the medal that God’s Will will be manifested and glorified and my desires carried out to the very end. I place my confidence in my faithful sons, the Bishops, who will not fail to take up my cause and make it bear much fruit for sanctification among so many and countless souls. Send this word then to my beloved son, the Archbishop, and have no fear sweet child for I will keep my promise for I am the ever faithful Virgin. May 22, 1962: Bishop George Rehring of the Toledo diocese favors distribution of the medal by Bishop Leibold. January 25, 1963: Imprimatur on the Prayer to the Indwelling Trinity Paul F. Leibold, V.G. of Cincinnati, OH gave his Imprimatur and Daniel Palarczyk, S.T.D., his Nihil Obstat to the Prayer to the Indwelling Most Holy Trinity. "First I received the leaflets on our Lady of America. I will gradually drop them around places as the opportunity presents itself. I still think of it as a private devotion and await our Lady’s action to make the seeds you are planting grow and, as it were, cause a spontaneous demand for the object of devotion, rather than engaging in any high pressure pushing of it." would aid in serving public devotions to Our Lady of America at the Convent where they were regularly celebrated. He also had 3 petite ivory statues made in India. Just before his death, Archbishop Leibold arranged a meeting with Luigi Riamondi, the Apostolic Delegate from Washington, DC, Msgr. Boffa, and his personal secretary, Fr. Francis Lammeier, to present a small ivory statuette to the Holy See and the Catholic Church. Posthumously, this statuette was presented to the Apostolic Delegate in August 1972 and is presumed to be in the Vatican Museum. "When a picture or statue of myself as Our Lady of America is placed in the home and honored there, then will my Son bless His people with peace. Believe in Me, dear child, believe in Me, for My love will never fail you." 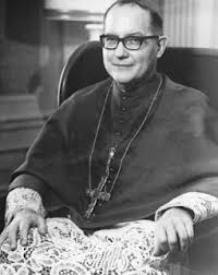 On June 1, 1972, Archbishop Paul F. Leibold died suddenly. 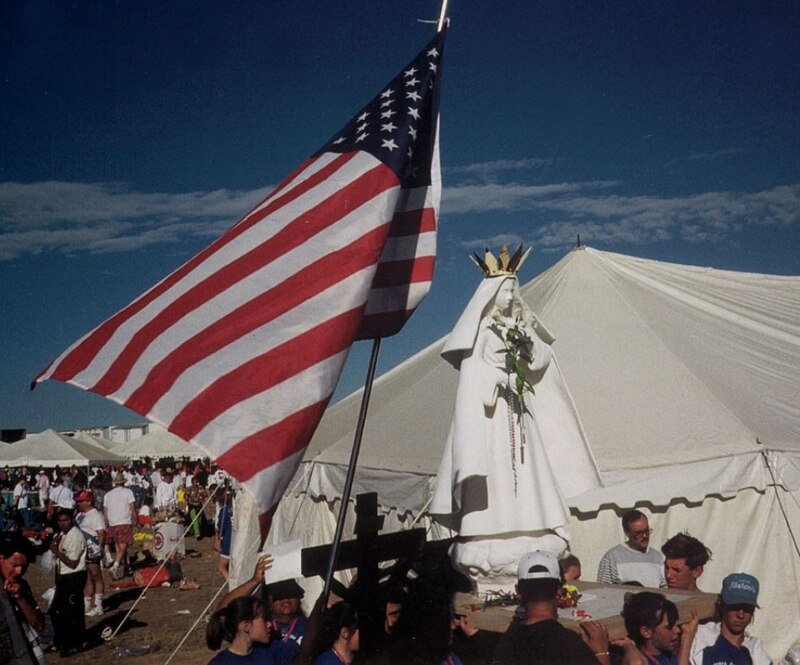 Before his death, Archbishop Leibold had decided to build a large outdoor Shrine to Our Lady of America at the New Riegel, OH. cloister property. His letters indicate he would have officially approved this message had he lived long enough to do so. Archbishop Daniel Pilarczyk succeeded Archbishop Leibold in the Cincinnati archdiocese. Paul F. Leibold was born on December 22, 1914 in Dayton, OH. He was educated at the Marianists’ Chaminade High School and the University of Dayton. 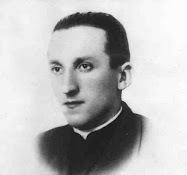 On May 18, 1940 he was ordained at St. Peter’s in Chains Cathedral in Cincinnati, OH. He was made Auxiliary Bishop in Cincinnati on April 10, 1958, Titular Bishop of Trebenna on June 17, 1958, Bishop of Evansville, IN on April 4, 1966 and Archbishop of Cincinnati on July 23, 1969 where he served his people well until his sudden, untimely death on June 1, 1972. The Archbishop was greatly loved and revered by his flock as evidenced by the overflowing crowd that attended his funeral. He is buried in Gate of Heaven Cemetery in Cincinnati. In August, Father Lammeier sent the plaque of Our Lady of America that hung in the Cincinnati Chancery and a large collection of letters/ personal spiritual writings of the Archbishop’s to Sister Mary Ephrem for safe keeping and to be organized for future investigation and publication. He confirmed how deeply the Archbishop believed in this message. During these times Our Lady continued to appear to Sister Mary and continued to make known the longings of Her Immaculate Heart. Our Lady of America: "It is the United States that is to lead the world to peace. If the United States is faithful to this mandate from heaven, and yet fails in the pursuit of peace because the rest of the world will not accept Its leadership or cooperate, then the United States will not be burdened with the punishment that will come." Sister Mary Ephrem is told of the shortness of time allotted to us to pray and make the necessary sacrifices to bring about world peace. There is an urgency about Our Lady’s warnings of a terrible purification that is to fall upon all nations. She advises us to pray the family rosary with as many family members present as possible, and to pray the prayer to the Immaculate Conception, Patroness of the United States, because the Forces of Evil are enveloping the world. Our Lady warns their hatred is now particularly focused on the United States because of the Divine Mandate given it to lead the world to peace. “Dear child, evil is so insidious that it often passes for good. The simple and pure of heart alone can detect the difference. Also, many good works are thwarted and destroyed by well intentioned people who are manipulated by the powers of evil because they do not possess that finer sense of being able to detect a false spirit from a true one." 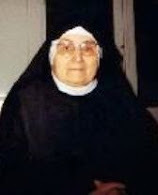 Sister Mildred Mary Ephrem led a life of hidden sufferings which she accepted with love and great patience. Given a haven of rest, but not from suffering as Our Lady said, she endured a broken hip in January 1994 which compounded her physical adversities. With crippling arthritis, a ruptured appendix and especially severe asthma, Sister’s distresses were, at times, life threatening. . 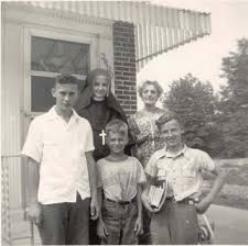 Despite adversity Sister worked tirelessly for Our Lady of America and her cloistered family. 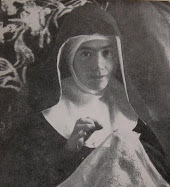 With each step closer, and usually on the eve of each victory reported for Our Lady of America, Sister Mildred would suffer intense physical pains and many times battled spiritual attacks designed to discourage her from praying. She stated, “If God required her life or suffering, so be it.” She reported on the “old Boy’s” physical assaults and hateful glares. 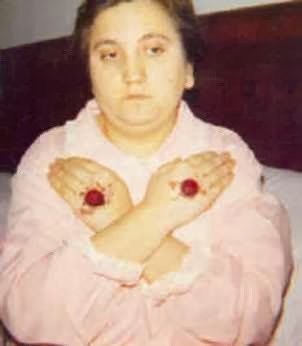 After World Youth Day her physical pain intensified with each victory; she was especially inflicted with the terrible crippling pain of osteoarthritis complicated by rheumatoid arthritis. 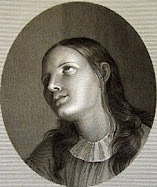 Medical treatments to alleviate pain were negligible or made her suffering worse with the complications of side effects. She would hide her moans when people were near her. Certain points on her body radiated such excruciating pain that it was sometimes quietly wondered if she had the hidden stigmata. 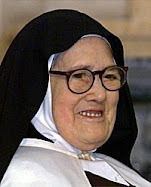 On January 10, 2000, the first year of the New Millennium, this humble, holy soul, Sister Mary Ephrem (Mildred Marie) Neuzil, at age 83, was set free from the cross she had so willingly embraced for the cause of Our Lady of America. She was set free to receive her full communion with the Most Holy and Triune God that had dwelt so intimately within her while on earth. Her funeral Mass was celebrated at the Basilica of Our Lady of Consolation in Carey, OH by nephew Fr. Gregory Neuzil from Tennessee. Friends from around the country, including niece Elaine Bratrovsky of Colorado, traveled to Carey that snowy winter day to bid her farewell, knowing they, too, had lived with and known another saint. Fifty white roses were brought for Sister Mary Ephrem by Ellis Maria Taylor of the Reparation Society in Baltimore, MD. Eulogies were delivered by Theresa Wukusick from Ohio, Anita Marovich from New Jersey, and Audrey Frank from California. The song to Our Lady of America, written by Sister Mary Ephrem and put to music by Richard Paul Rencher, was sung by Marty Rotella of the Divine Mercy and Life Foundation in New Jersey. Sister’s body, laid to rest in a handmade wood casket with Our Lady of America’s picture encased in the lid, is temporarily laid to rest in a vault at St. Wendolyn’s Cemetery, Fostoria, Ohio. 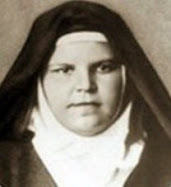 Sister Mary Ephrem Neuzil committed the completion of her work and the protection of the purity of the message of Our Lady of America to her only remaining companion in the Lord, Sister Joseph Therese (Patricia Ann) Fuller and trusted her to guard it against all contamination with her very life. On May 31, 2007, Most Reverend Raymond L. Burke, then Archbishop of St. Louis, wrote a Letter to the United States Conference of Catholic Bishops outlining the results of his review of the history and canonical status of devotion to Our Lady of America. Those interested can read the original document here. 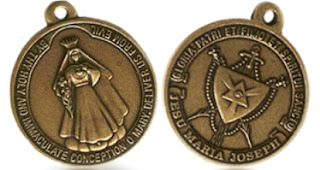 Our Lady of America told Sr. Mary Neuzil that greater miracles than those granted at Lourdes and Fatima will be granted here in America if Our Lady’s request are carried out by Her Bishops. Let us pray and make sacrifices that this may soon come to be. -Our Lady of America Official website operated by Our Lady of America Center in Fostoria, Ohio. ~Our Lady of America and Sr Mary Neuzil, pray for us! Support this website! 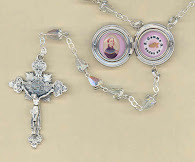 Check out the rosaries and other items in the Mystics of the Church Gift Store. Wow great article Glen! I always love reading things on this website that I never knew before. The parts in this article about St. Joseph were great. I never knew that he was cleansed from original sin. Does this mean he also never committed a single sin just like Mary? Is the only difference between St. Joseph and Mary that Mary was conceived immaculately without the stain of original sin but St. Joseph was conceived in original sin but then immediately cleansed from it? February 22, 1972: Our Lady’s image in the home When a picture or statue of myself as Our Lady of America is placed in the home and honored there, then will my Son bless His people with peace. Believe in me, dear child, believe in me, my love will never fail you. Thanks for the comments. I am really glad to hear that you liked the article--My friend John did a wonderful job on it I think. And thanks for pointing out the part that I neglected to highlight in blue--I just fixed it. As for the revelations concerning St Joseph, well, keeping in mind that firstly these are private revelations of course, and secondly that thus far they have not yet been approved by the Church, and so with these two points in mind I will say that I found the revelations to be quite interesting to ponder and consider, that's for sure. Sister Mary Ephrem was so sweet, humble, and good. She so wanted to do the will of, God, and to please Our Lady. She was happy to take on sufferings for God, and keep them secret. What a beautiful, precious, faith-filled person. She is an inspiration to all of us, to strive to live holier lives. Thank you, Glenn, for providing this segment on this very holy woman of God. I feel moved to comment that Audrey Frank, who is mentioned in this article, also worked, sacrificed, and suffered very much for Our Lady of America and for our nation, until Our Lord came for her -- Providentially -- on July 4th, 2015. Inspired by Our Lady and by these faithful souls, let us respond with all our hearts, by carrying the torch of Divine Love into every avenue and relationship, teaching our children to pray, and "instilling in them the knowledge and study of the Divine Indwelling so that the Divine Presence becomes an intimate and necessary part of their life and daily living." And let us pray that Our Lady of America will be honored in the National Shrine of the Immaculate Conception very soon, that the grace of conversion -- "spiritual miracles" -- might be released upon our nation and world. But Our Lady's requests here and as at elsewhere have not been granted. The bishops have a whole have not come on board about Our Lady of America. That Cardinal Burke did...well he is not in favor because of his orthodoxy and is dismissed. It is fascinating that the ancient patroness of England [and by extension, the English-speaking peoples] had her feast day moved by the Pope from 25 March (feast of the Annunciation) to 24 September; and the new date was first celebrated in the Millennium year 2000. This allows a first vespers for Our lady of Walsingham on September 23, and complete on the 24th; The feast of Our Lady of America would have first vespers on the 25th of September and the feast itself on the 26th. This conjunction of dates reminds us that had England not separated from the Catholic Church in the 16th century, America and indeed all the British Commonwealth countries would have naturally become Catholic when they were colonised. Like the seated image of Our Lady of Walsingham, Our Lady of America holds a lily of purity, although in the 10th century Walsingham statue (now lost, but perhaps one day to be re-discovered when England is reconverted) the lily was emblematic of the royal "root of Jesse" genealogy of Jesus. Both images wear a crown: I find it charming that the crown of our Lady of America's crown reminds one of the rays of light around the head of the Statue of Liberty; and that Our Lady's dress resembles that of a modest, traditional American Bride. 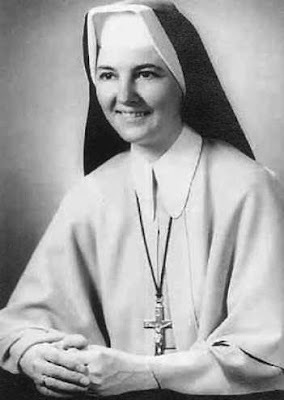 Ellis Maria Taylor of the Reparation Society in Baltimore, MD., who presented the fifty white roses to Sister Mary Ephrem upon her death spoke many times Of Our lady of America and Sister Mary Ephrem. 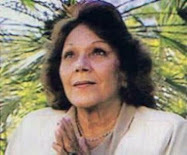 Ellis was a journalist and researched Our lady of America and her promises to the world and specifically America. One taped presentation is available at My Father's House Retreat Center in Moodus, Ct. He spoke at a Holy Spitit breakfast. He also focused on the request of Our Lady to be Enthroned into the Basilica of the National Shrine of the Immaculate Conception and her connection to it's construction. Ellis was an amazing man of God and has since gone to be with him. His presentation is a must see. You did a wonderful job in presenting the story Of Our Lady of America. 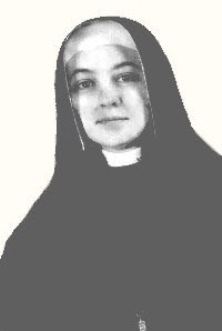 just wished you had mentioned Sister Joseph who was Sister Mary's companion. 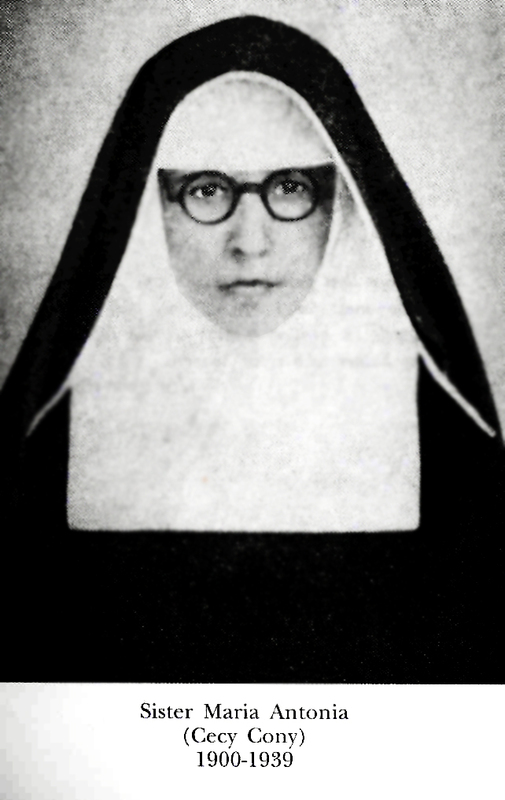 Sister Mary willed the trade mark and copy rights to Sister Joseph. For the record Archbishop Leibold was succeeded by Archbishop Joseph Bernardin. Only after Archbishop Bernardin was appointed to Chicago in 1982, was Daniel Edward Pilarczyk appointed archbishop. Thanks for the historical info---it is much appreciated! Words cannot explain how this article fell into my life at the perfect time. It is September 25, 2016 as well. Amazing! Inspiring. Thank you, Glenn, God bless you!